The Montessori training for Montessori qualified guide through the AMI (Association Montessori International), is performed through a program of training and rigorous training where the characteristics of child development and needs are studied. The curriculum and materials associated with different age groups and the complementary skills of respect and support the development of children’s autonomy. Besides the constant self-observation and self-awareness guide. The guidelines seek personal growth. 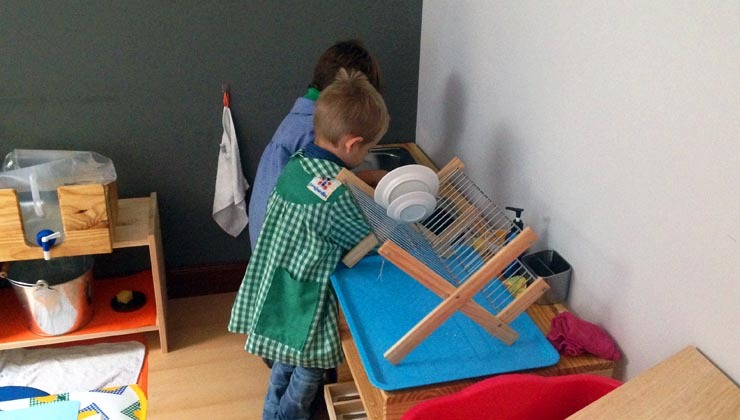 We note that the term Montessori is not patented and therefore is used for any school. Our way of ensuring established standards of Montessori is to consider that all our guides have the AMI degree. Maria Montessori created the Association Montessori International in 1929 to defend and ensure the quality of the environment prepared and their guides formed. This association is dedicated primarily to ensure the quality of teacher training programs internationally. If parents are interested in offering an authentic experience of montessori school for their children should know what to look for when visiting schools. For example: materials placed on shelves within reach of children, mixed-age classes, training guides Montessori work cycle stopped two hours to three hours.